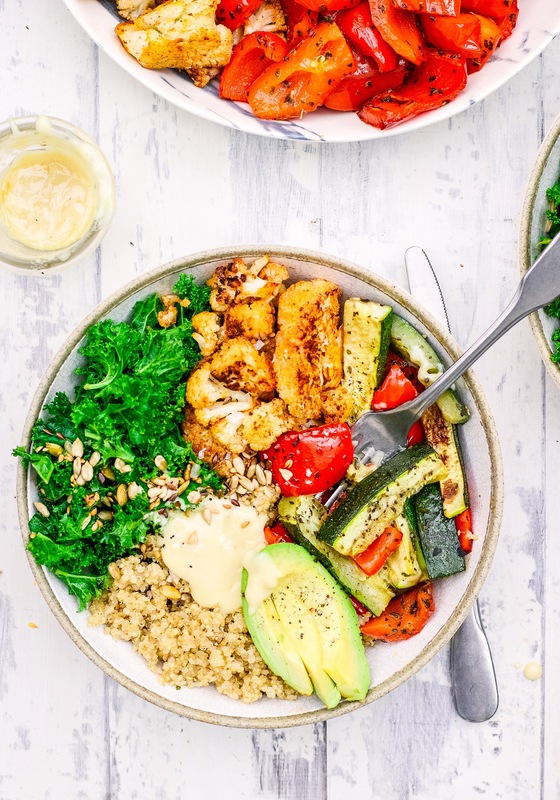 These tahini veg bowls are my kind of meal. Don’t get too hung up on what vegetables you use- just use whatever’s in season/whatever’s in your fridge! I’m in love with this dressing, it’s so creamy and tastes good on just about anything. Preheat the oven to 200’C. Add the quinoa and stock to a saucepan on medium heat. Pop the lid on and let it simmer until all of the liquid has been absorbed. Then set it aside off the heat with the lid on. Chop the vegetables and spread them out on two roasting trays. Sprinkle the paprika, cumin and a good pinch of sea salt over the cauliflower, then drizzle over some olive oil. Toss well. Repeat with the peppers and courgettes but use oregano in place of the spices. Pop in the oven to roast for 30-40 minutes. Whisk together all of the dressing ingredients. Toast the seeds in a pan on medium heat until popping and toasted. 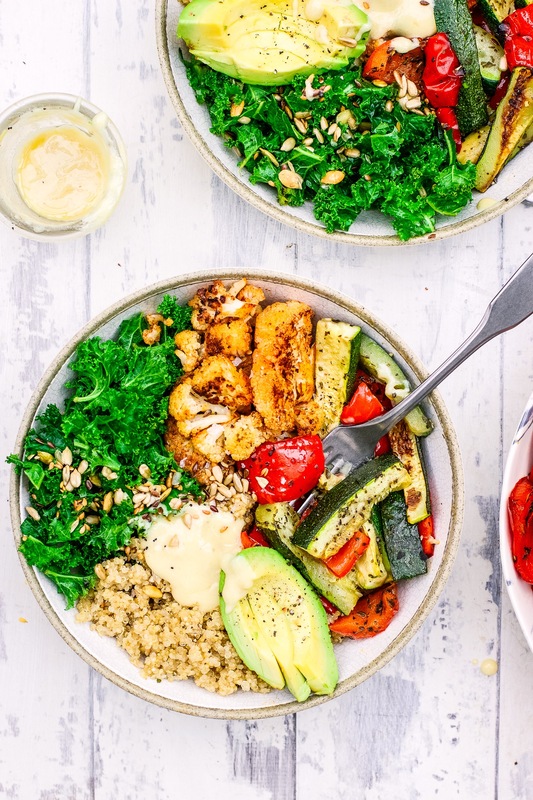 Fill each serving bowl with some quinoa, greens and roast veg. Sprinkle over the toasted seeds and pour over the dressing. What do you do with with spinach/kale? ?